You want to develop just a portion of a photo that you will add to a certain sized picture frame. You are choosing to have your photo developed at a retail store that only offers photo sizes of 4×6, 5×7, etc – in other words, the retail store does NOT develop photos in the size that match the size of your picture frame. 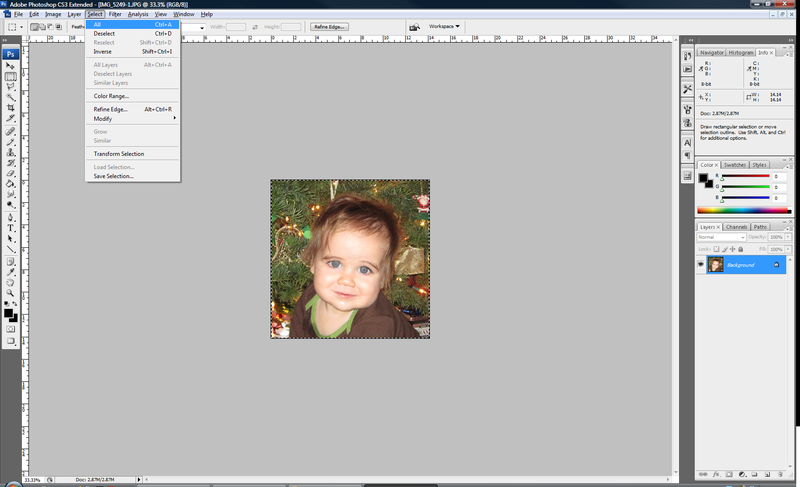 In Photoshop, select the “Rectangular Marquee Tool (M)”, then select the portion of the image that you want to be added to your picture frame. Crop the image to the selection that you just made by going to “Image > Crop” in the main menu. 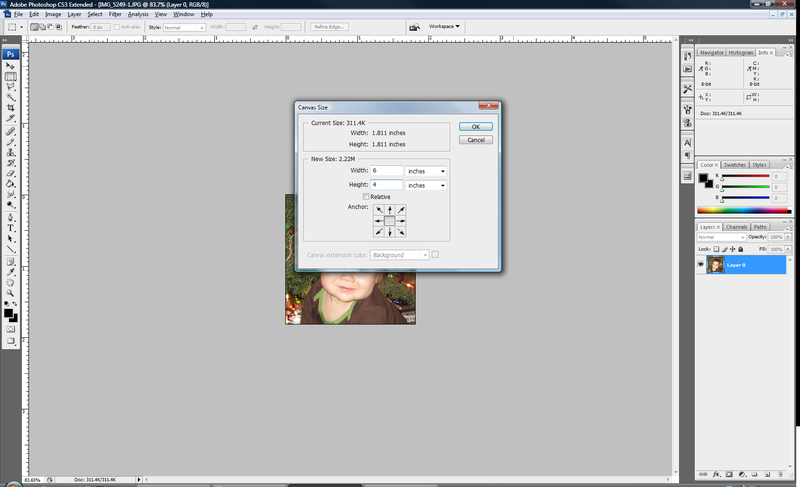 Using a calculator, divide the target width by the image width. 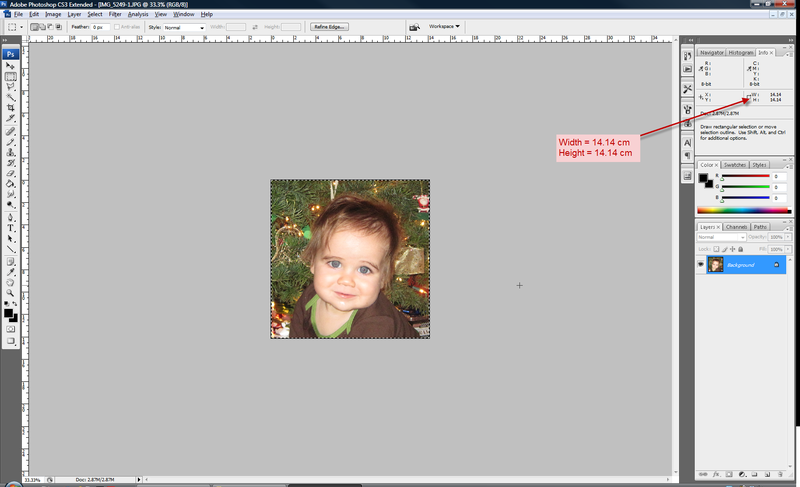 In this example the target width is 4.6cm and the image width is 14.14cm then multiply my 100. So we calculate [(4.6/14.14) * 100 = 32.5]. The value 32.5 implies that the target image is 32.5% the size of the original image. Take note of this value – you will use it in the next step. 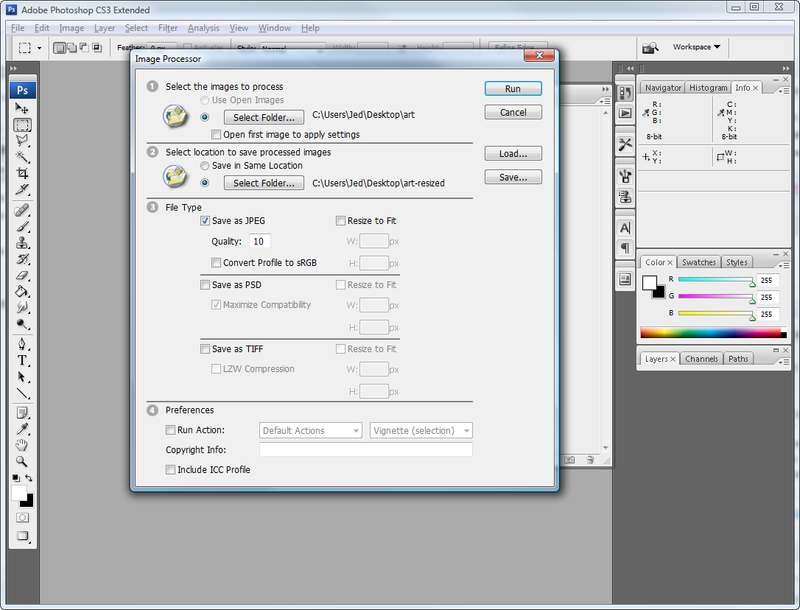 At this point, the size of the image in Photoshop should be the target size – to confirm this, take a look at the Width and Height specified in the Info Palette. 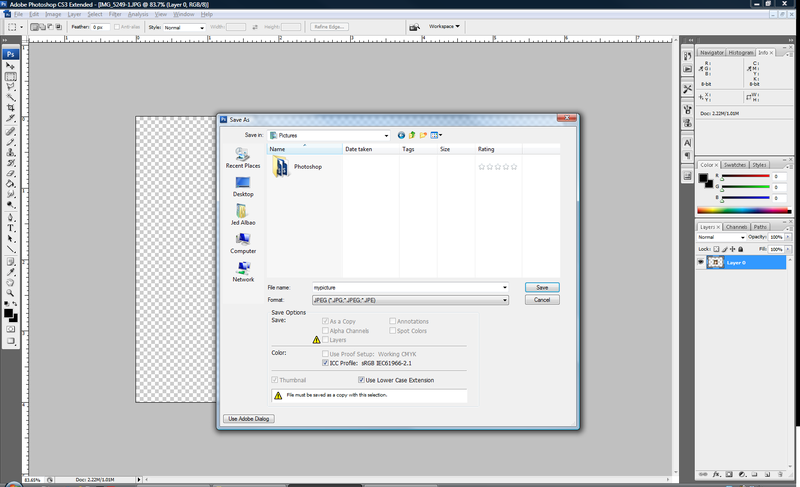 Create a “Layer from Background” by double-clicking on the “Background” image that is located in the Layers Palette. 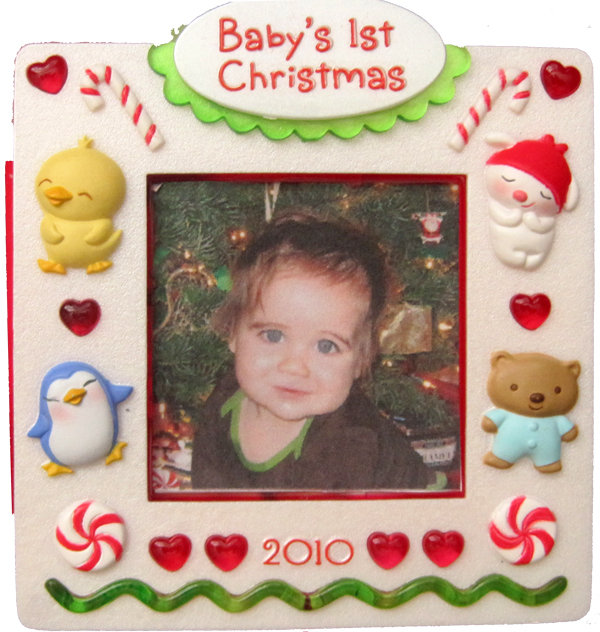 Once you receive the developed 4×6 picture, you can cut out the image and insert it into the picture frame. So you have many pictures that you would like to compress and/or change their dimensions and would like to use Photoshop 10 to do this task automatically for you? 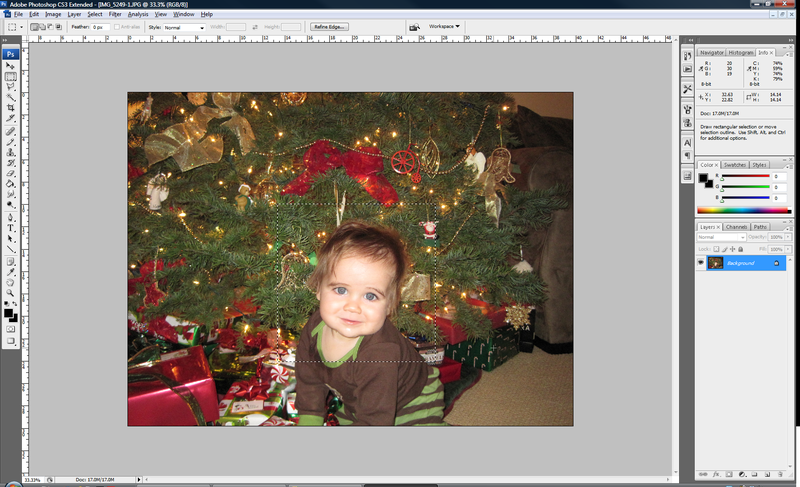 If you would like to shrink the weight of the image, select the “Save as JPEG” option, then specify a “Quality” value. Valid values range from 0-12. 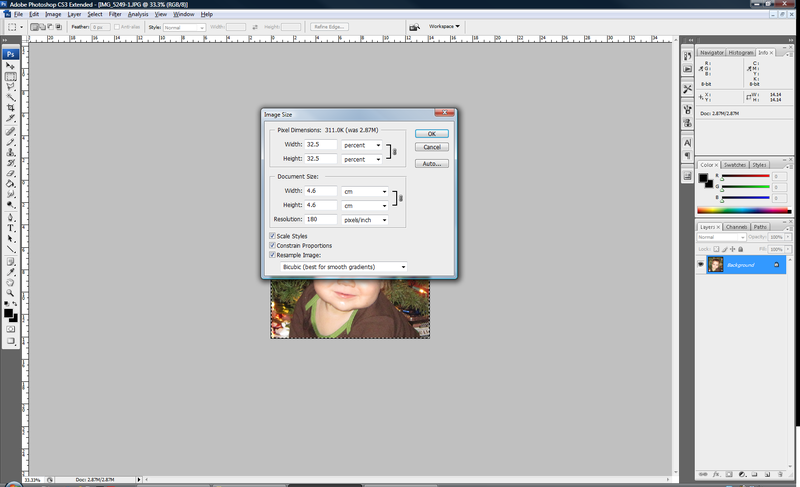 A value of 10 will compress the images by about 50% and a value of 5 will compress the images at around 80%. For example: Let’s say that your original image was 100KB and you choose a Quality of 10. The new compressed image will be around 50KB. If you chose a Quality value of 5, the new compressed image will be around 20KB. 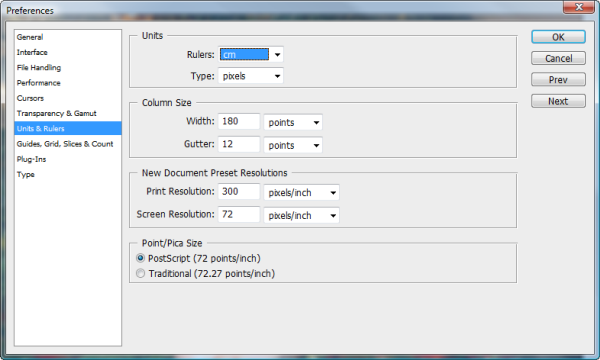 If you would like to specify a width and height that the image must fit inside of, select the “Resize to fit” option, then specify the Width and Height that you would like the image to fit inside of. 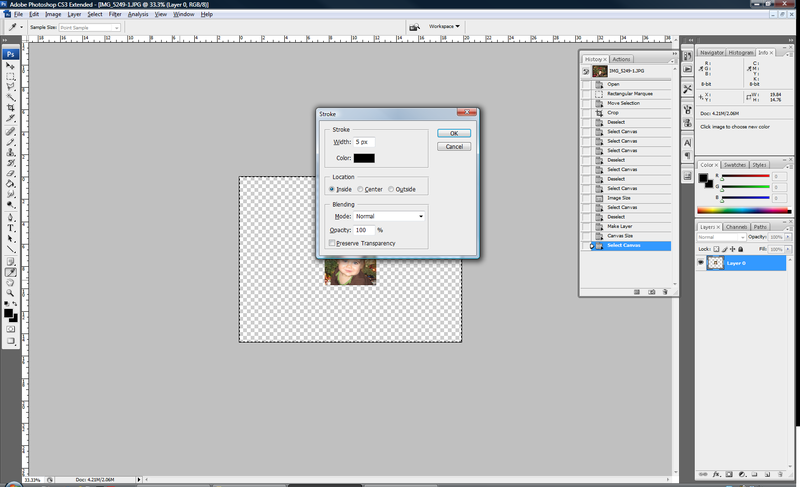 By the way, this is a great way to create thumbnails for your images.